Hitting the big 3 in a couple more years, I often find myself asking, when will the radiance on my face leave me, when will my skin lose its firmness, when will the wrinkles show. I wonder if there are as many women out there who ask themselves this question given how fast time seem to pass here in Singapore - where many have taken a shortcut in their daily routine for practicality, and in short, to catch up while being in a rat race everyday. I also came to a realization that having that "youthful aura" actually comes from yourself - from within. When you think, live and behave in a youthful manner, you emit positive vibes and especially giving off energy to the people around you. They in turn catch on your positivity and these forces bounce around you giving off the "youthful aura" that is seemingly elusive to many but yet, actually achievable for every women out there. The first step to achieving that youthful aura is to feel good about yourself. I feel good about myself when I have good skin. This is simply because your skin is the tell-tale indicator of the going-ons in your life. 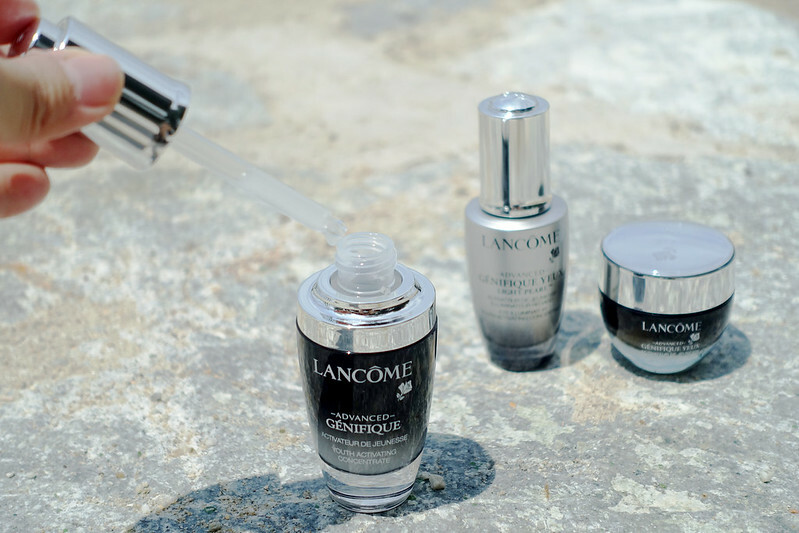 For that added boost to my skincare routine, the Lancôme Advanced Genifique range consisting of (1) Advanced Génifique Youth Activating Concentrate, (2) Advanced Génifique Yeux Light-Pearl Eye Illuminator and (3) Advanced Génifique Yeux Light-Pearl Eye Cream were recently introduced to my vanity table. Inspired by cutting-edge expertise in genomics and proteomics, the iconic "Little Black Bottle" precisely targets fine lines, wrinkles, radiance, clarity, evenness, texture, firmness, sagginess, tonicity and resiliency. If you have been with me since 2008, you would also know that I put emphasis on my eyes as I was plagued with issues like fine lines around my eyes which cruelly creased my concealer every single time immediately after application. 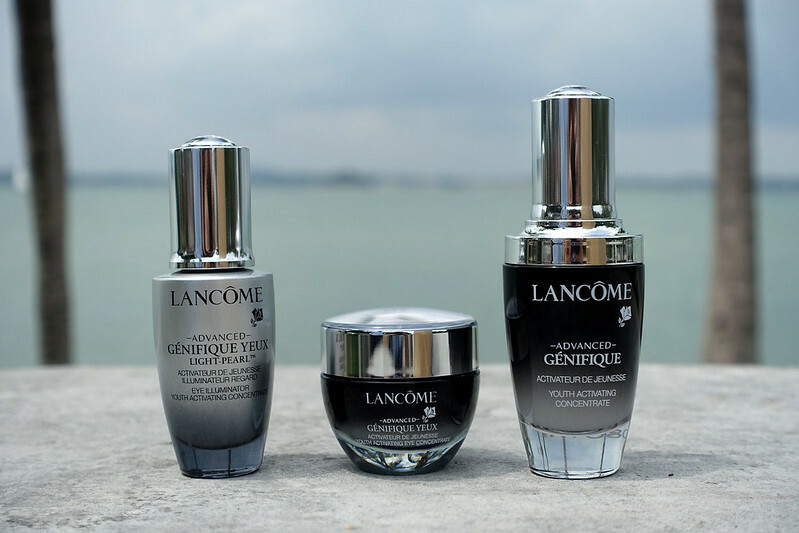 This is also the reason why I have been hooked on both the Advanced Génifique Yeux Light-Pearl Eye Illuminator and its Eye Cream. 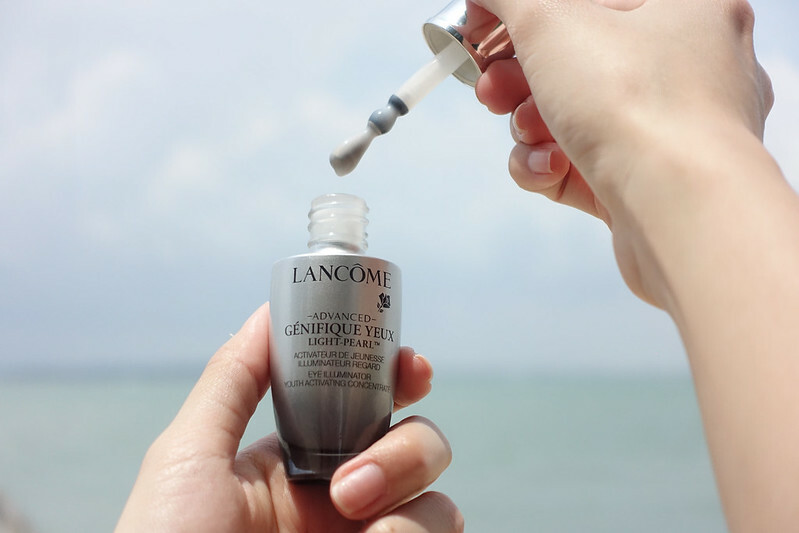 Génifique Yeux Light-Pearl is the first serum to be equipped with a pearl-applicator for 360° illumination of the eye contour. 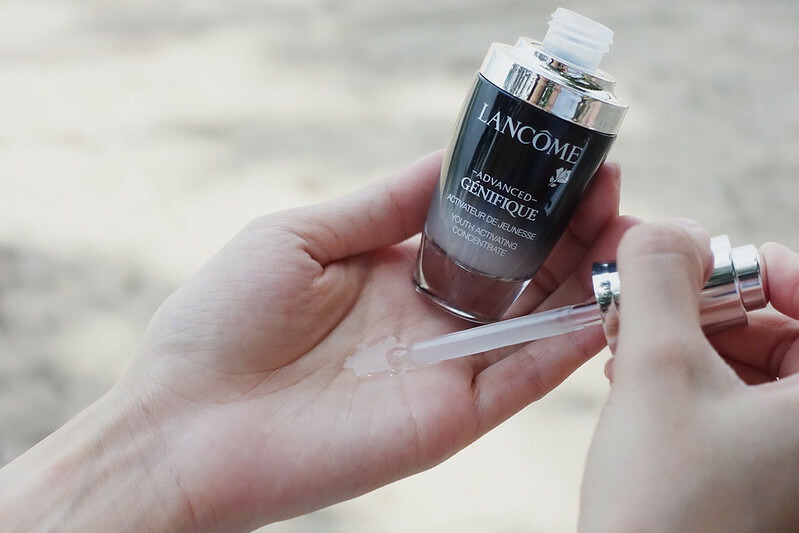 THIS is a major indulgence for me in the morning - that cooling applicator rolling gently on the contours of my eyes reduce puffiness and trust me, I have really puffy eyes due to insufficient sleep, and water retention due to army style bottoms-up before I sleep. My eyebags have been reduced after just only 4 days of use - I mean, it is noticeably reduced which actually slimmed down my face instead. How much does having eyebags change your face shape? Quite drastically I say. I can't put a finger to how this happens but trust me, it does happen and it did for me. Perhaps it is all these added steps into my skincare routine that automatically makes me feel good about myself - because I care for my own being. And it does help that I am drawn to how Lancôme has characterized "youthful aura" by deriving it from addressing concerns from real women. Last of all, since these products work very well for me and the synergy of it when used together with other skincare products is a perfect harmony, why not?